Living and working Address : 165/16 “Graphikos” near Hotel Kesarval, Kesarval colony, Cortalim, Goa 403710, India. 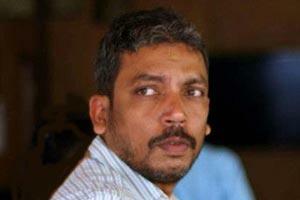 Date and place of birth : 27th September 1975, Goa. Qualification : Master of Fine Art (Printmaking), University of Hyderabad - 2000. Bachelor of Fine Art (Painting), Goa University - 1998. National eligibility teaching test by UGC, New Delhi - 1999. 2013 - 'Hybridization'India Fine Art, Mumbai. 2010 - 'Seize on', Apparao galleries, Chennai, India. 2009 - 'Fanatical Beings', India Fine Art, Mumbai. 2008 - 'Mythical Menagerie', Visual Arts Centre, Hong Kong. 2007 - 'Speaking of otherness', Pundole Art gallery, Mumbai. 2007 - 'Landscape with possible monsters', Travancore Palace, New Delhi. 2006 - 'Blue ants', Lalit Kala Academy, New Delhi. 2004 - 'Anxiety', Museum Gallery, Mumbai. 2003 - 'Metamorphosis', Galeria Cidade de Goa, Goa. 2009 - "Life is Stage" ICIA, Mumbai, India. 2006 - "New Voices" Guild N.Y, U.S.A.
Onida artist workshop, Khandala 2007.